"The final product that Ampleforth delivers is great and every parent needs to bear that in mind: Ampleforth produces well-adjusted, high achieving, caring young men and women.” Ben & Anna Gibson, Current Parents. 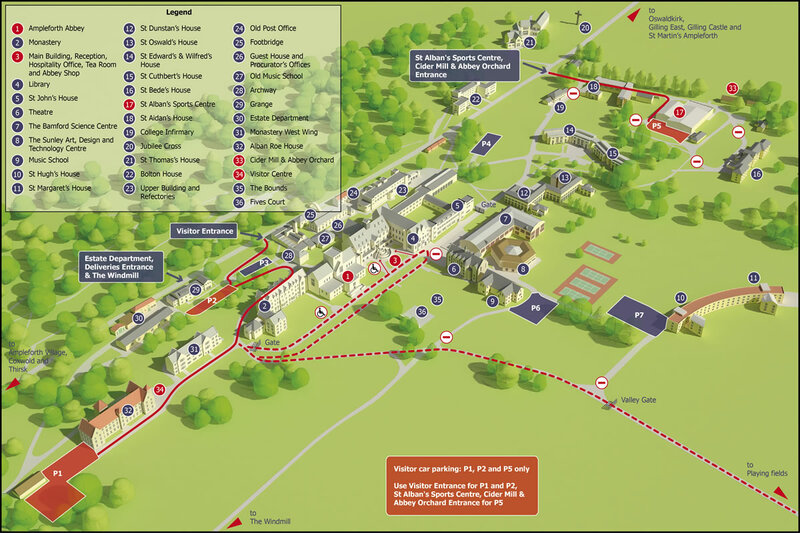 Please telephone or email the admissions team to book your visit and ‘Come and See’ what Ampleforth could mean for your own family. Perhaps you may wish to extend your visit and explore this beautiful area of North Yorkshire. Please click here for a list of local accommodation providers in and around Ampleforth. The School has an arrangement with Hertz Car Hire (01904 500193) at York Station. To make a reservation parents should contact Hertz at least 24 hours in advance and they should quote Ampleforth College and the discount number CDP 712273. This arrangement is only available at the York branch of Hertz.